Download the full PanelGuide with full functionality (8MB). individual sections are available for download as follows. 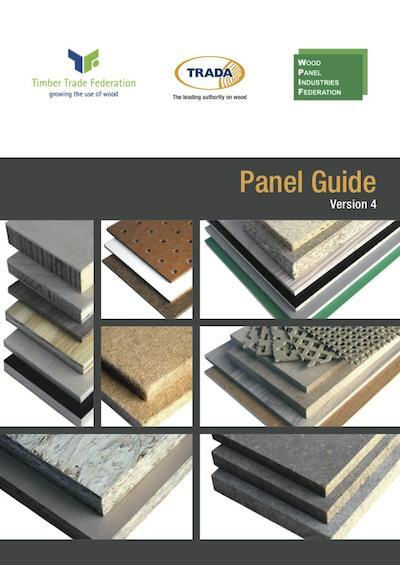 'PanelGuide' gives the panel user and specifier guidance and information on the use of wood-based panels in an authoritative and comprehensive manner. PanelGuide was originally prepared as a collaborative project between the Wood Panel Industries Federation, National Panel Products Division (A division of the Timber Trades Federation), TRADA Technology Limited and the Building Research Establishment Limited. The project was co-funded by the Department of Environment, Transport and the Regions through its Partners In Innovation Programme (Programme managed today by DTI). Whilst every effort is made to ensure the accuracy of the advice given, the project partners cannot accept liability for loss or damage how so ever caused arising from the use of the information supplied. Navigation is simple using the book marks found on the left hand side of the PanelGuide pdf. We have also broken down PanelGuide V4 into individual sections for faster downloads and ease of printing. If you require Industry Standards, Codes of Practice or any other information such as statistics or news then please go to the information section.